It is very common to graduate with student loans. Many people carry the student loan debt with them, even when they do not have any other debt, but that student loan debt may be hurting you. 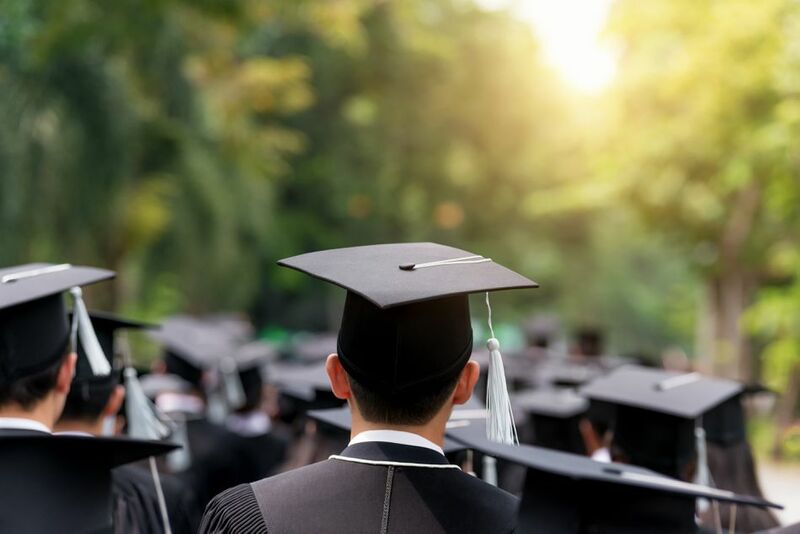 You may be wondering if you should include your student loans in your debt payment plan or if you should worry about paying off your student loans early. The truth is that you should pay off your student loans as quickly as possible. These seven steps will help you pay off your student loans more quickly. Here are five reasons you should focus on paying off your student loans. One good reason to pay off your student loans is that it will lower your debt to income ratio. It means that you have more money available to you when it is time to buy a house or to borrow money for a car. You will not have the commitment to make that additional payment every month. It frees up your money, and you have the opportunity to invest it and really begin to build wealth. The less you pay debt each month, the more you have to put toward your dreams like opening a business or retiring early. One common misconception about student loans is that you should keep them for the tax break. This may be enough reason to put the student loans at the end of your debt snowball, but you should realize that only $2500.00 of the interest can be deducted each year. Additionally, the amount starts to phase out if you make more than $65,000.00 a year if you are single. Finally, you will still end up paying money either to interest or to taxes. It is better to be rid of the student loans rather than hanging on to them for a tax break; you will still pay more each year in student loan payments than you would if you were just paying your taxes. How Much is the Student Loan Costing You? Even if you can deduct the majority of interest you are paying on your student loan, you should consider how much money you are losing each month because you have the payment. If you invest it in a mutual fund, you can be earning returns on your investment. Even if you are not paying interest, you are losing the earning potential of the amount of your payment each month. You should also consider the opportunity cost you are losing because you have the monthly payment. You might be able to save more quickly towards your down payment on a home if you did not have the monthly obligation or you may be able to open your own business or work towards other goals if you did not have to worry about the debt. Without a loan payment, you may be able to take bigger risks than you would otherwise. Your student loans may be holding you back from doing the things you really want to. Your student loan payments may be stopping you from saving up for your dream vacation or taking the next step in your financial plan. Many people who are overwhelmed by student loan debt hope that bankruptcy may offer a solution to their problem. However, if you declare bankruptcy, you still must pay your student loans back. The only way to avoid this is to become permanently disabled or to die. If you hit a spell of bad luck, it is that much harder to get back on top of things with student loan payments. Once you pay your student loans off early, you will be much better equipped to deal with financial crises in your life. When you have debt, your financial worry and stress are higher than when you are debt free. If you want to reduce your financial stress, you should work on paying off your student loans. Even if your student loans are at the end of your debt payment plan, you can benefit by working on getting out of debt and reducing the amount that you owe. You should include your private student loans in with paying off your consumer debt like credit cards since they are not eligible for the student loan tax break. Getting on a budget, and making a debt payment plan can help you clear up your debt and make it possible for you to stop worrying about money. It should be part of your plan when you first graduate from college. What Happens When a Court Issues a Judgment Against You?